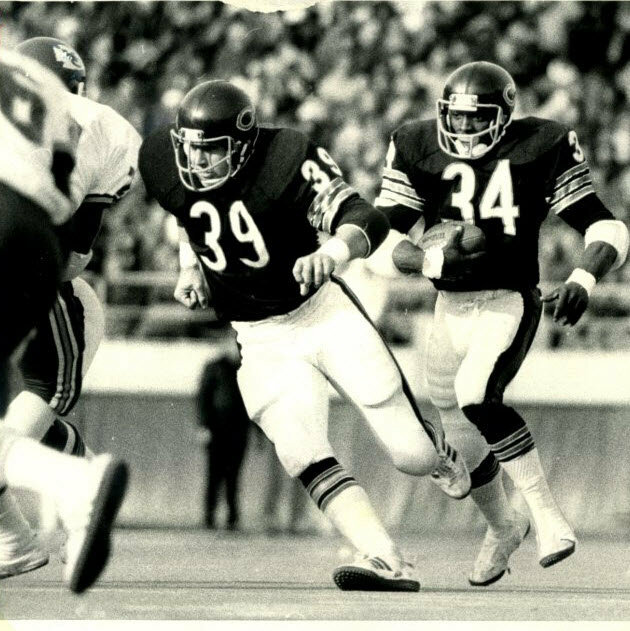 After a very successful college career as a tight-end & fullback for the University of Washington Huskies, Robin Earl moved to Chicago as a 3rd round draft choice of the Chicago Bears in 1977. 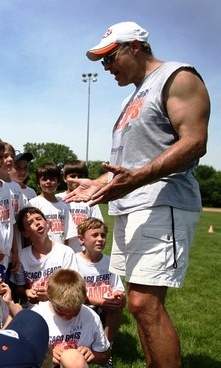 Robin played 7 seasons for the Bears from 1977-83 and finished his 9 year Pro Football career by playing 2 seasons with the Birmingham Stallions of the United States Football League from 1984-85. He started his first 3 seasons with the Bears as a full-back and shared the same back field with the late great Hall of Fame running back Walter Payton. In 1980, he switched to the tight-end position and wore jersey number '81'. Over the past 38 years, Robin has owned and operated several successful businesses in the Chicago Land area. Appeared on Comcast SportsNet live TV for 2 NFL seasons (2006-07) on Monday Nights recapping Chicago Bear games. As a Radio Sports Talk Show Host, Robin Co-Created "Bearly Legal" with his attorney David Spada which aired on TalkZone.com for nearly 3 years. He then Created and Hosted 'Livin' Sports on WIND AM 560. Currently Robin donates his time at live remotes as a Talk Show Host on "Fox Sports" and other radio outlets. Over the past 10 years, Robin has been involved in the energy business and works as an consultant at his own company Save On Energy 81. His focus is to build strong working relationships with small, medium to large size commercial business owners. With today's volatile market, Robin leverage's his expertise and strong alliances to control and manage energy supply costs with the right resources. Robin Earl is licensed as an Agent, Broker, and Consultant with the Illinois Commerce Commission. The bottom line is simple...HELP YOU Save On Energy! Just recently, smaller power companies are now offering wholesale electric and natural gas to the residential market in 23 deregulated states, including Washington DC. With that in mind, Team '81' was born. During the summers months, Robin is a Camp Director for Youth Football Camps where he coaches and mentors young boys from the ages of 6 to 14. He teaches 'Team Work' and why it is so important for the Youth of America to understand it at a young age. He believes Faith, Character and Integrity are the winning ingredients for Success! On a personal note...at the age of 64, Robin enjoys working out, playing golf, snow skiing, traveling and staying fit. He has 6 sons, a daughter and 8 grand babies. His two younger sons Preston and Kevin are accomplished Quarterbacks. Preston recently played the 2012 season over seas with the Arlanda Jets (Stockholm, Sweden) and is now the Offensive Coordinator at Rockford College in Rockford, Il. Kevin was a 3 year starting QB for the Coyotes at the University of South Dakota. He graduated in June 2016. A lot of Robin's time is devoted to helping others. As a motivational speaker, he is asked frequently to speak at many charitable events and sits on several charity golf committee boards. Winston Churchill said it best"You make a living by what you get, but you make a life by what you give." We all need to remember those words. "The Stiff Arm" 1974...University of Washington Husky Stadium.